VIDEO UPDATE ——BAD COP – CONST. 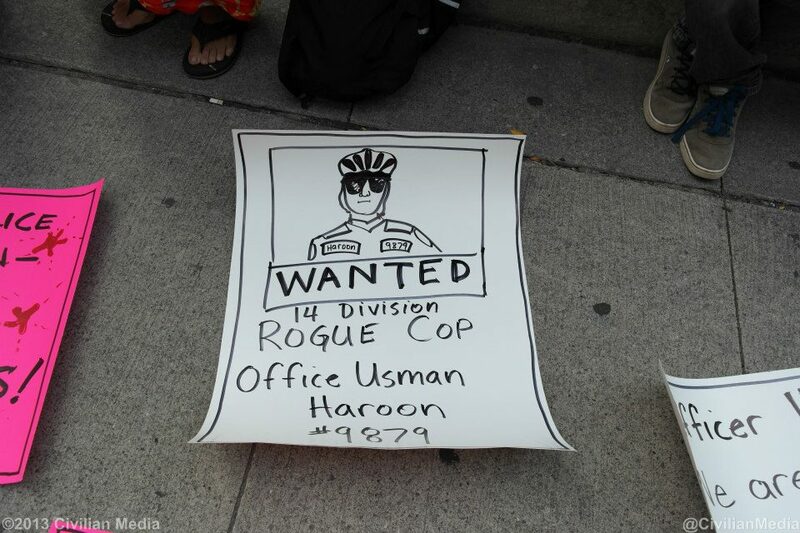 HAROON | TORONTO'S FIRST "Cop Watch"
Officer Haroon of Toronto’s out of control 14 Division (Funculo Forcillo! ), told Davyn Cathchild to “remember my face” after he beat him, cuffed him, threatened his family if he were to protest 14 Division again, and left him with three bicycle tickets including not having a bell. Well Officer… seems like it will be more than just Davyn and his family who you threatened who will remember your face. Here is the officer in question pictured at the first Justice for Sammy Yatim Rally which made its way to 14 Division, where Davyn and others took the road till past midnight and even ordered a pizza to the middle of the street during their sit-in. 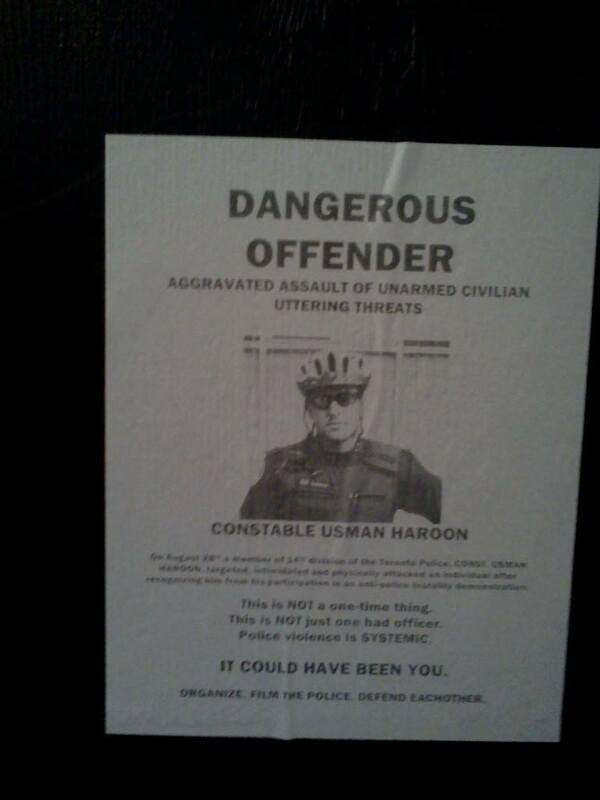 If anyone has any information on Officer Haroon please reach out.